Are the constant itches on the skin becoming a concern for your health? Does your house or office zone has the infestation of fleas? If it is so, then you should live in a dwelling zone where there are no fleas. It can be possible if you get your property regularly treated by our pest controllers. Whenever your skin itches because of a bite of an insect, you think you have been stung by bed bugs or mosquitoes. Not every sting signifies of a bed bug infestation. There are other insects which sting which sting and can make your skin itch. Fleas are such pests which sting sharply to animals and human beings. The stings of fleas are more or less similar to bed bugs bites. The prime targets of fleas are the animals. It could be your pet too. In case the fleas could not target your pets, then they will attack you with their bites. Fleas normally hide deep inside the fur of an animal. You must be thinking how fleas appear to be. The size of the wingless insects, fleas, is approximately 0.1 inch in length. A flea has bristles in the back portion of its body. The body of a flea is categorized into three sections such as abdomen, head and thorax. Fleas use their hind legs for jumping from one host to another host. Fleas have a conical-shaped head and mouthparts protruding downward which are used for sucking blood of animals and humans. Fleas appear to be brown as well as black in color. Fleas choose to hide themselves underbelly portion of animals. Else, their favorite nesting sites are cracks of floors, bedding items and furniture pieces. The eggs of fleas are white in color. A flea normally takes three weeks to complete its lifecycle. It is essential to keep fleas away for the protection of your pets, yourself and others at your place. The best protection technique you can seek is by hiring our fleas control services which would give you a permanent relief from flea infestation hassles. The flea invasion can be exterminated only through the help of a professional. Contact us at once to shield your abode from fleas. Flea infestation will not create damage to your residence. But, the infestation or the existence of fleas can cripple your health. The stings of fleas on human beings give rise to endless itching. As a result, red welts appear on the skin which in turn make your allergic. Severe allergic reactions along with red bumps on the skin can make your pets sick. Other diseases associated with fleas are murine typhus and tungiansis. Identify the presence of fleas by the signs mentioned below. If your pet continuously scratches its skin, if you see your pet is losing its fur, or the red bumps on the surface of the skin will indicate a flea invasion at your place. You may also see fleas on the neck area of your pet which will again imply that fleas are present in your house. In your bedding items or on your pet’s toys and pet’s towel, you may see the eggs of fleas. The pupae and larvae of fleas are highly likely to be present close to the place where your pets rest. Derive more information on the signs of flea breeding from our fleas control Brisbane experts. Getting rid of fleas annoying behavior is necessary for all people. Therefore, your first action should be to know the species of fleas which keep disturbing you and others. The cat fleas, human fleas, tick fleas, dog fleas and scabies mite fleas are the well-known species of fleas which create health-related problems in humans and animals. 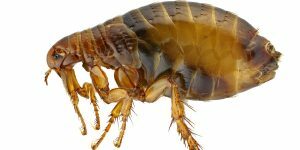 In our specialized fleas treatment Brisbane program, our pest control specialists will provide you a detailed information on each specie of fleas. Will it be good to exclude fleas by using my techniques? You may be knowing about pesticides which might claim to eliminate all fleas from your place. You might be using those local pesticides and then after some days, you may again see fleas moving on your pet’s hair. It is because the local pesticides will not kill the pupae of fleas. To eradicate fleas from the root, you should latch on to our fleas control Brisbane measures. Our pest experts will wipe off the existence of fleas by having an in-depth inspection in your territory. In our pest control company, we use the enviro-friendly pest products which are approved by the green companies. All the pest products are tested before applying them at our clients’ places. Our pro pest guys will assess the intensity of the infestation and then they will apply the suitable pest solutions. We execute our services by starting with a thorough survey of your property. Our pest inspectors will assess every nook and corner of your territory to find the invaded spots of fleas. A report of the inspection is then quickly prepared by our pest guys. While implementing our fleas treatment Brisbane solutions, we emphasize our special areas where the infestation of flies tends to be high. We customize our treatment plans as per the level of infestation. We will use dust sprays, surface sprays and baits which are licensed and safe to use. Do not believe in the services offered by the pest control companies which cater fascinating offers on their services. Cheap pesticides could be disastrous. Hence, your best bet is to hire our flea solutions which could no harm for your home and others. Our professionals are trained and take great care while implementing the pest treatments. What will be the estimated cost of our flea services? 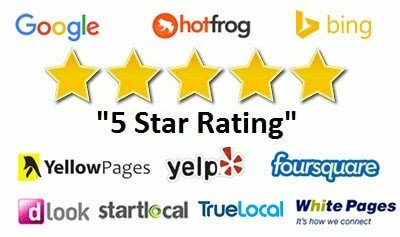 Many people have notion that the fleas control services rendered by the pest control companies will burn a hole in their wallets. It is not true everytime. We charge the price which will be affordable to your wallet. To know the precise price, you can fill up the online form and receive a quick quote or directly call up our staff.